With so much great football action this coming weekend, here are our 5 picks of matches you just shouldn't miss in the next couple of days. This weekend we recommend action from Brazil, Ukraine, England, Argentina and Italy. Fantastic action should be on display in Brazil this Saturday when league leaders Cruzeiro host second place Internacional. Cruzeiro is currently enjoying a 6 point lead at the top of the table, and although there are still a dozen matches to play after this fixture, this is a must win for both clubs. So many story-lines, so little time. Aside from the fact that these two are the biggest rivals in Ukrainian football and the fact that they sit 2nd and 3rd in the league after 7 matches played, there is the whole conflict 'thing' in the Eastern European nation. Kyiv situated in the West of the country and Donetsk in the East, this could prove to be a match of passion both for football and politics. Whichever way you look at it, this one is a match very much worth watching even for somebody who does not necessarily follow football from that region of the world. Perhaps the biggest match-up in the EPL this weekend as Cesc Fàbregas wears the Chelsea blue against his former club Arsenal in this London derby. With an away win, The Gunners can come within 3 points of the league leading Blues, but they will have to stop Chelsea's start striker Costa as he has been scoring almost at will since joining Chelsea this summer. Yes, it's that time of the year. 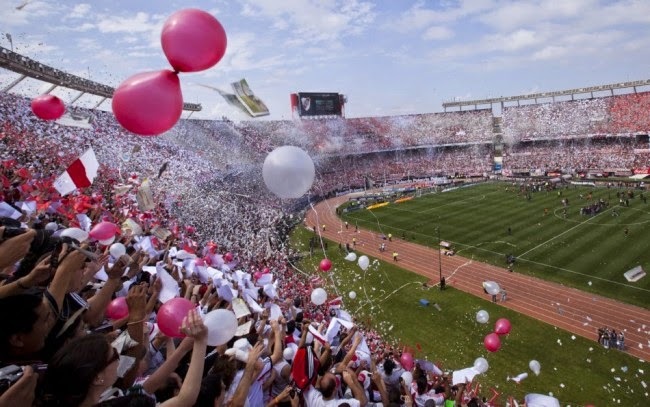 Two of the biggest rivals in the world of football will lock horns this weekend at the Estadio Monumental Antonio Vespucio Liberti in Buenos Aires. 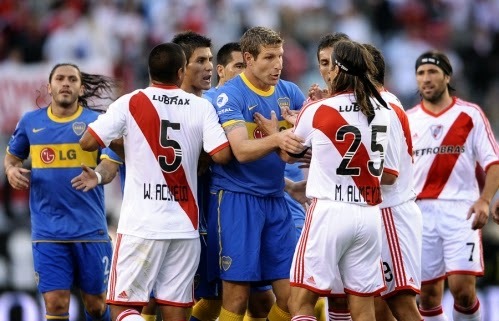 The two clubs and sets of supporters absolutely despise one another, and while Boca is not enjoying a very successful Apertura tournament at about mid-way through the calendar, there is nothing they would love more than defeating their bitter rivals and present a chance for the teams sitting behind the leaders to catch up. By far the most intriguing match-up of the weekend is the one between Serie A leaders Juventus and Serie A leaders AS Roma. Ok, so Juve has got a two goal differential advantage and is officially the league leaders in Italy. Nonetheless, the two clubs will put their impressive perfect record from 5 matches on the line this coming Sunday in a fixture that is surely can prove vital in this young Italian season. Juventus has not conceded a single goal in league action so far and will look to continue this trend on home soil against the club from the capital. Roma enjoyed a solid start in Champions League play rolling over Russian side CSKA and drawing in Manchester against England's champions City and will look to take this momentum into their match against the 'Old Lady'. Both clubs are producing great football at the moment, so there is absolutely no excuse why you won't be watching this match.